Have you signed up for our new Nine Days of November Mini Mystery? It Starts Nov. 9th for 9 days and for just $24.99 you'll get a fabric pack and a daily pattern to make a 20" x 40" table runner! 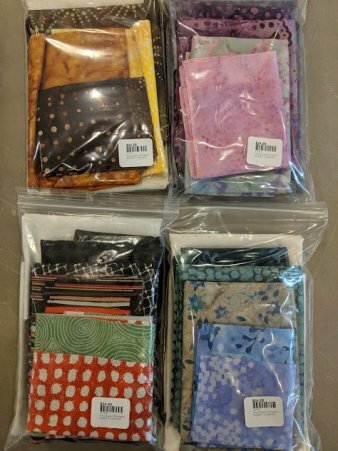 Choose from our 4 different kit combinations or let us put together a custom kit from any fabrics in the store for $3 more. Instructions for a part of the table runner are emailed to you each day for nine days. This project is not individual blocks but pieces that fit together for a beautiful finished project. If you can't make it in to visit us, shipping charges are only $4.95. Give us a call at the shop and let us know what color combination you like, and we'll pop it in the mail!